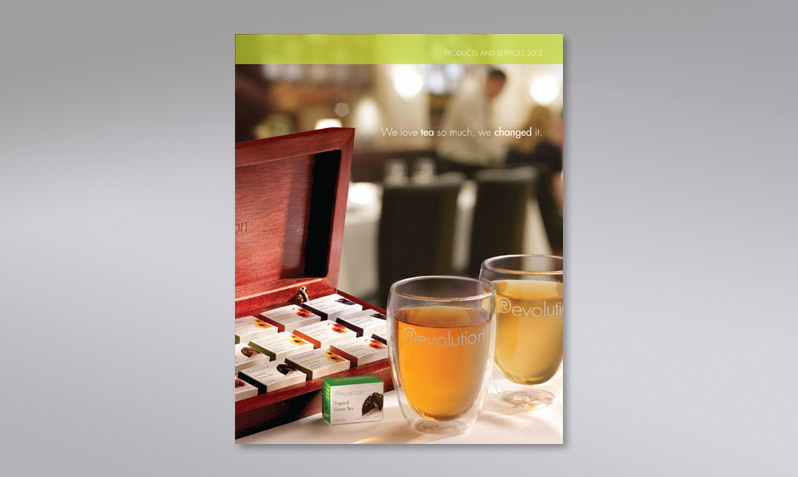 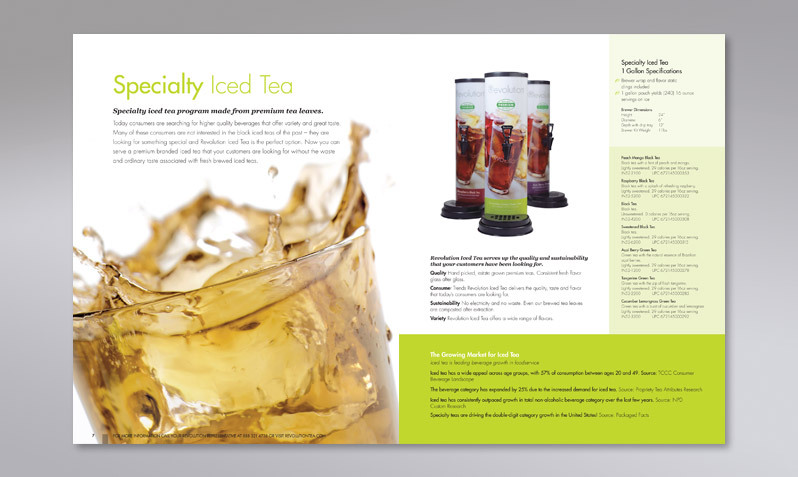 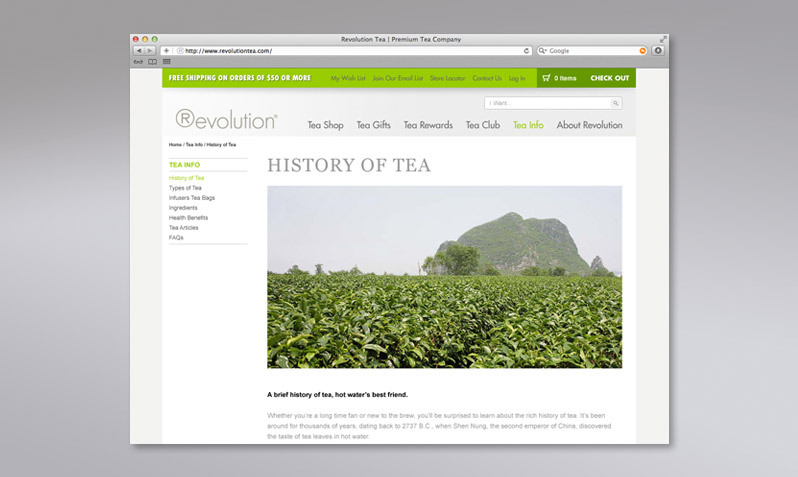 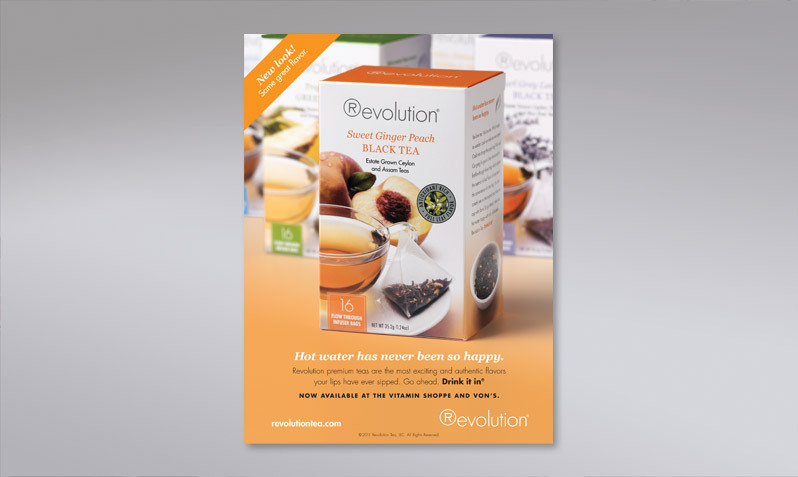 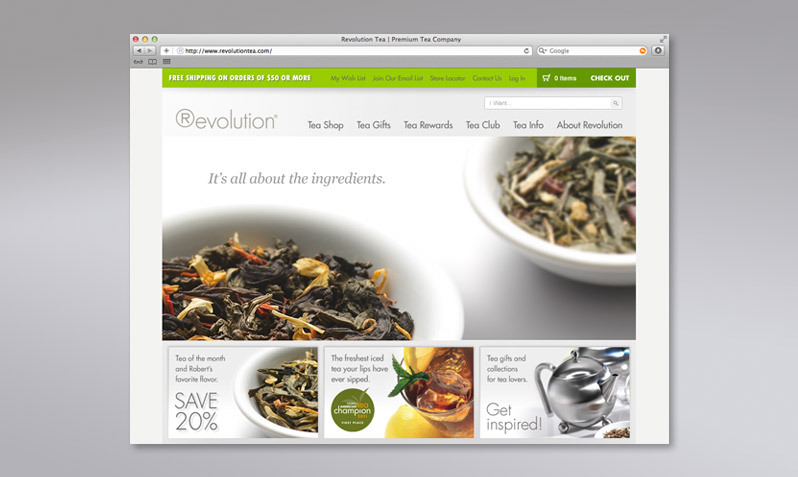 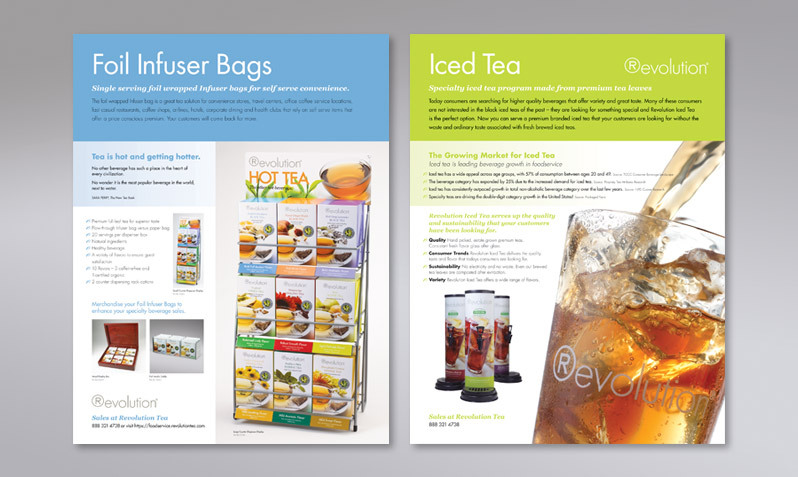 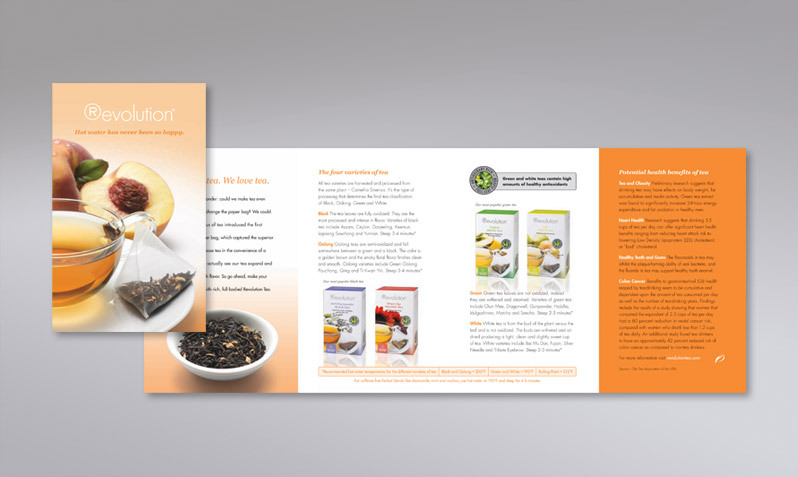 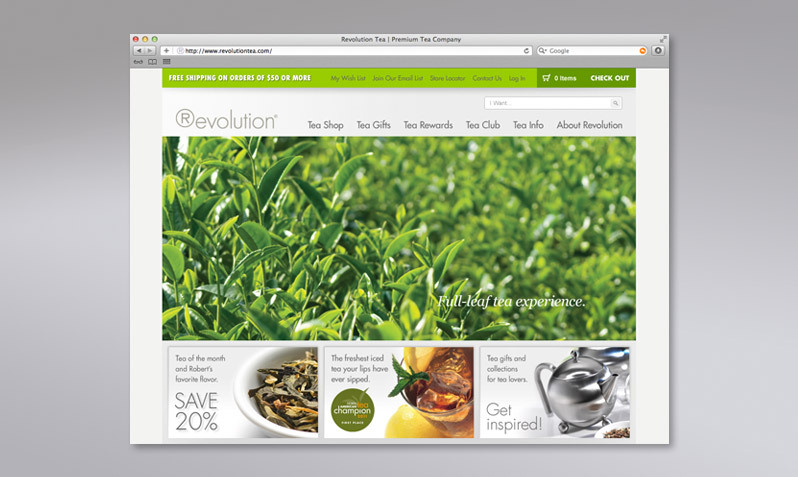 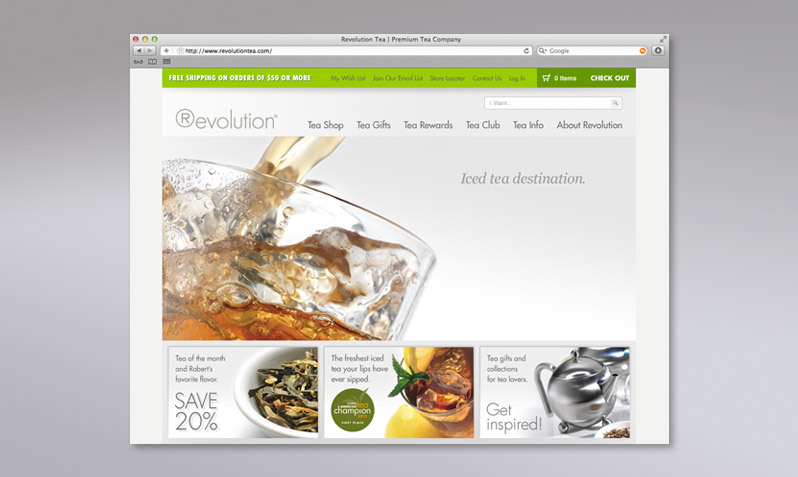 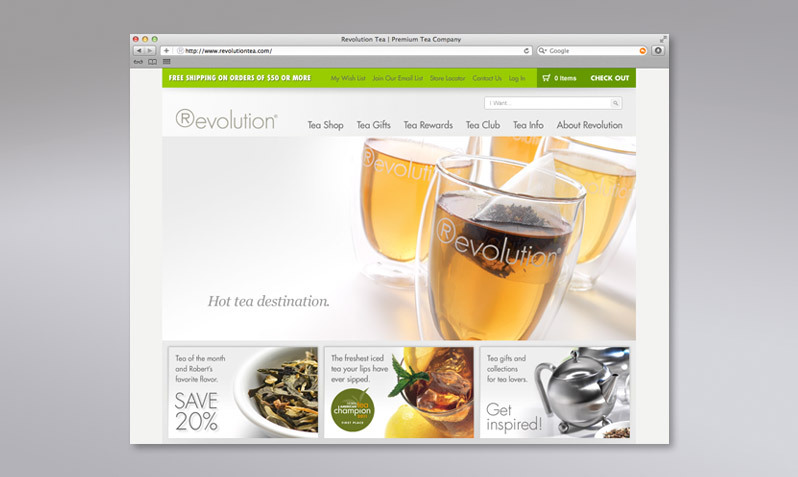 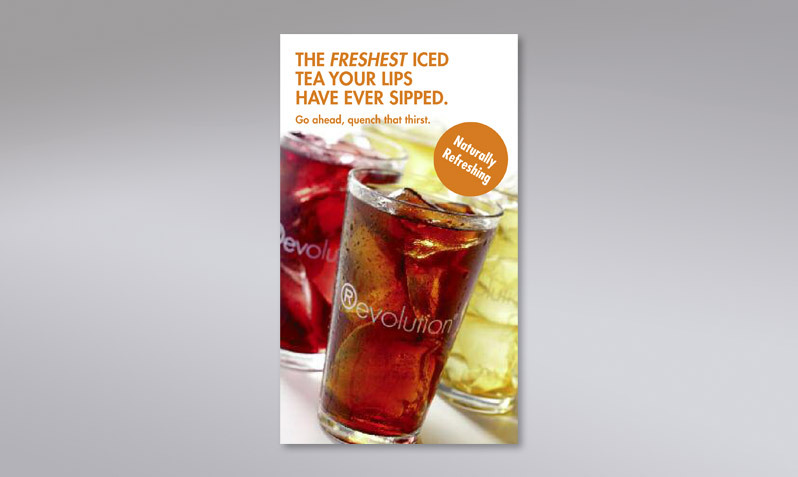 Revolution is recognized as a leader in specialty hot and iced tea. 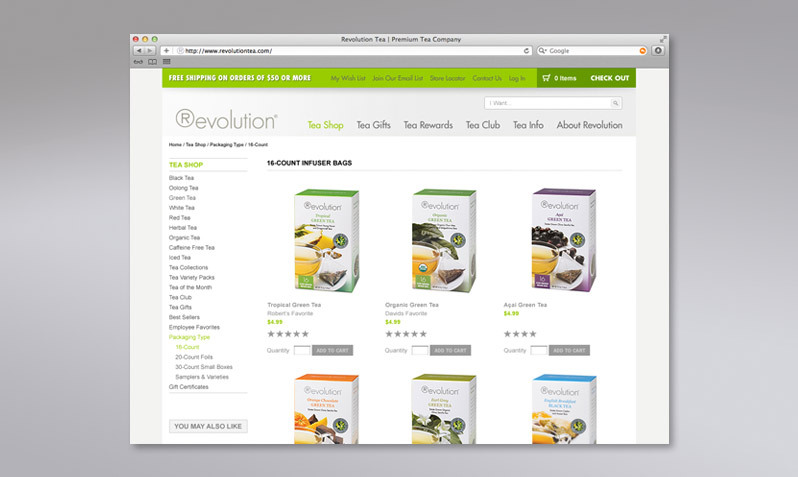 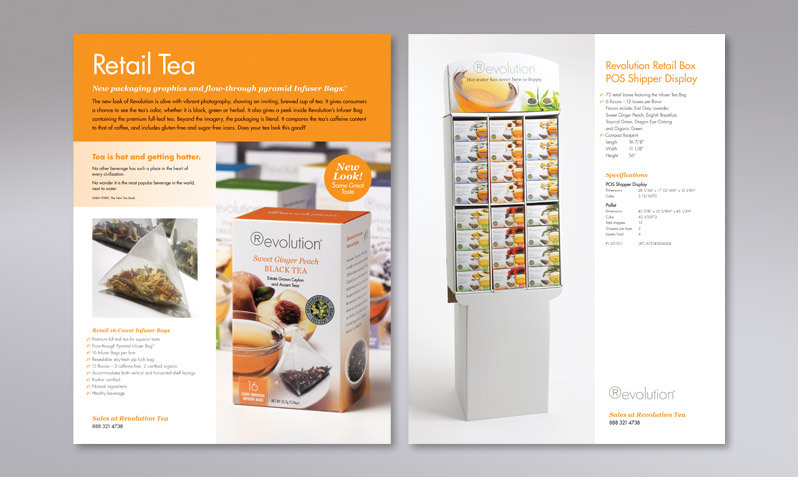 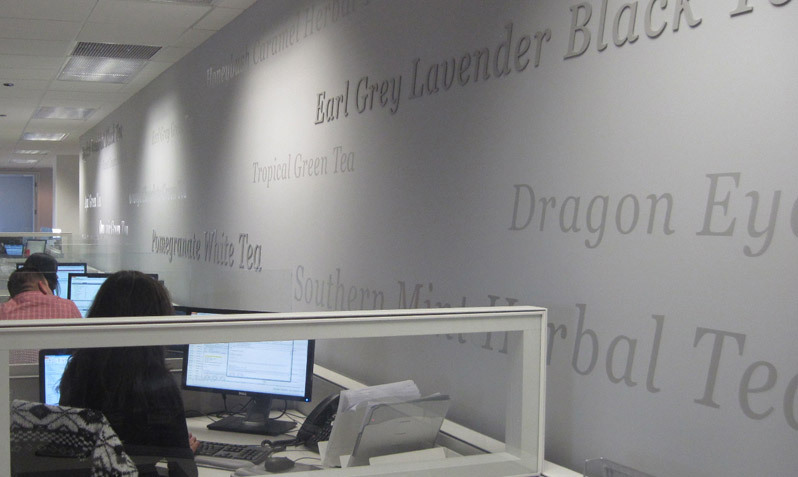 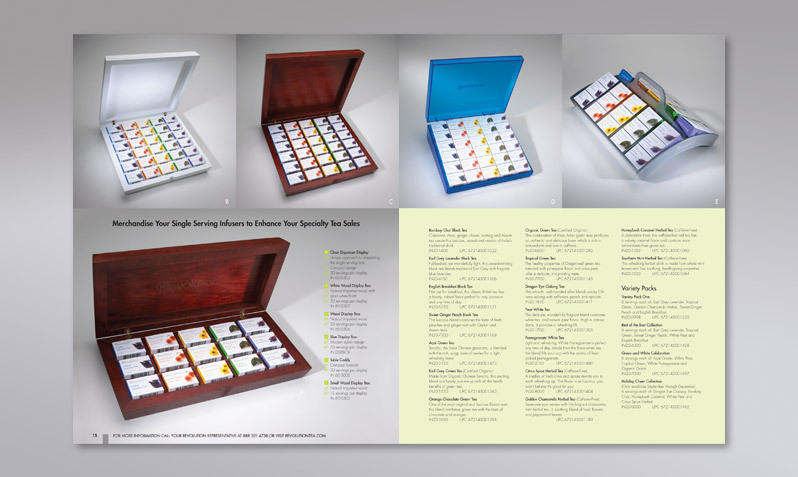 Since the beginning, we've helped design every one of Revolution's product lines, as well as helping them craft their identity, tone of voice, retail presence, and merchandising systems. 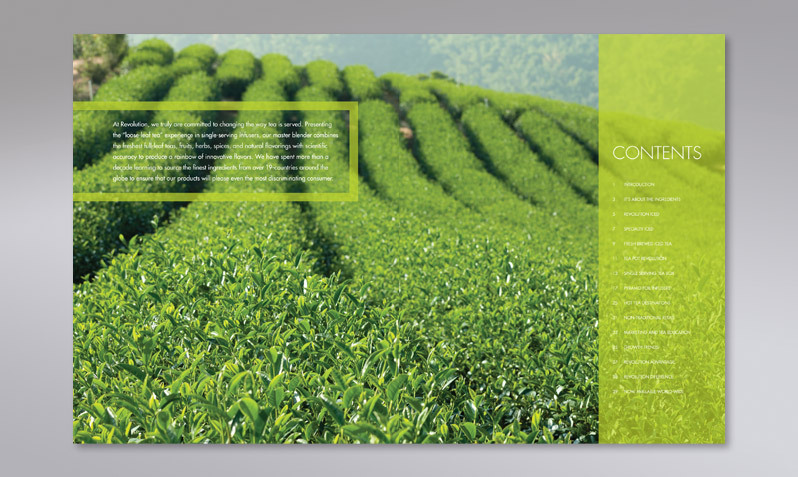 We bring the best concepts to the table and work closely with the team to develop timeless messaging, packaging and branded experiences.